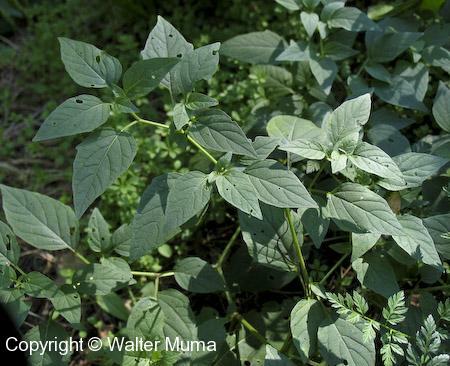 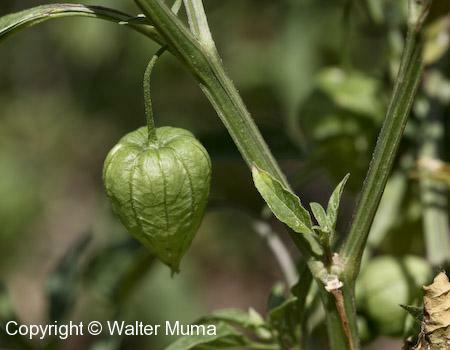 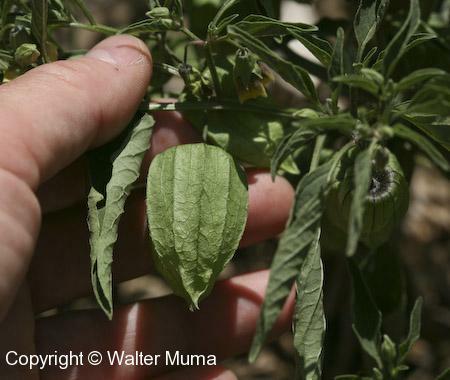 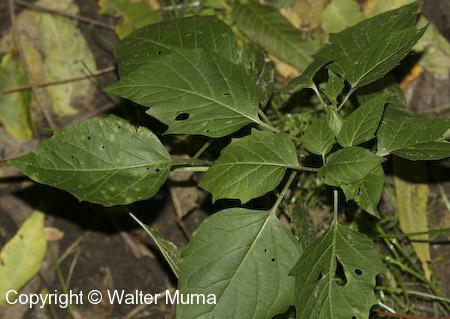  Clammy Ground Cherry (Physalis heterophylla) - Covered with fine sticky hairs. 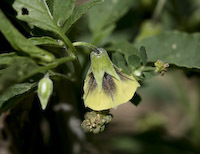 Photography notes: The flowers are tough to photograph, as they hang down very low. 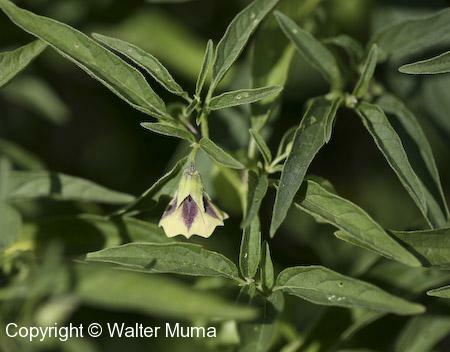 Photographs: 78 photographs available, of which 12 are featured on this page. 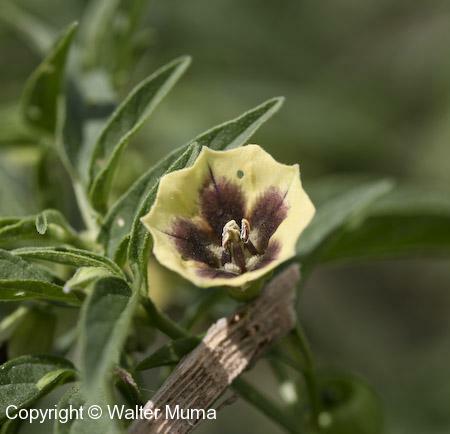 SCROLL DOWN FOR PHOTOGRAPHS. 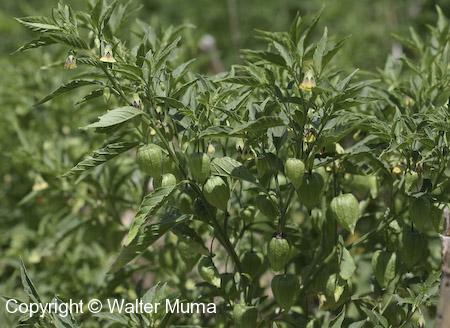 The flowers of Smooth Ground Cherry hang down, makign it difficult to photograph the colourful insides. 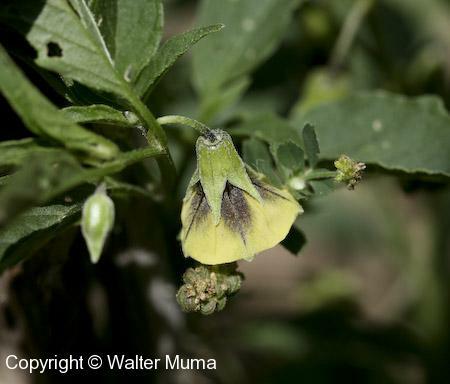 Inside of the pale yellow flower of Smooth Ground Cherry. 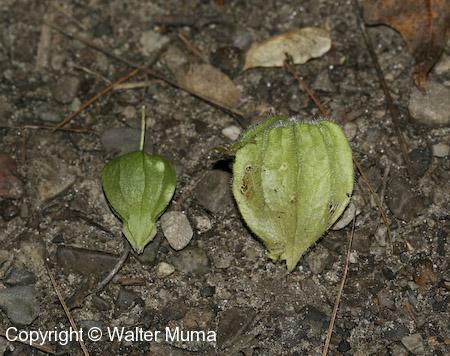 Seed pods of Smooth Ground Cherry on the left, compared with that of Clammy Ground Cherry (Physalis heterophylla) on the right. 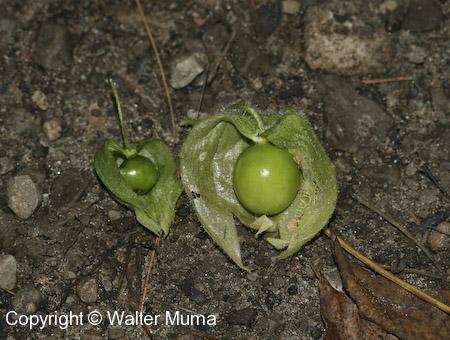 Showing the developing fruit inside the seed pods of Smooth Ground Cherry on the left, compared with Clammy Ground Cherry (Physalis heterophylla) on the right. 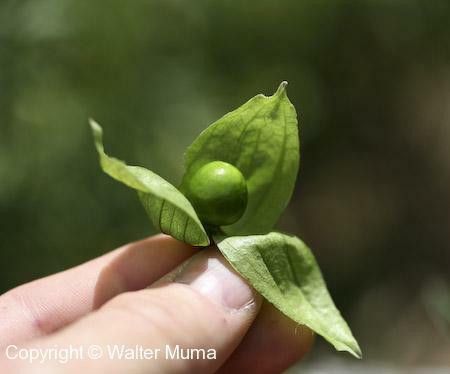 Insdei of a seed pod. 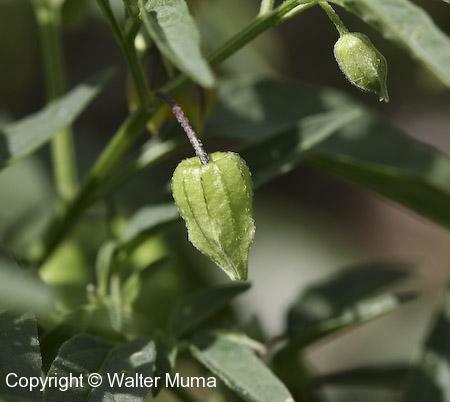 a Smooth Ground Cherry plant showing the seed pods.